Ruhnu lighthouse is remarkable in that it is one of the few quadrupod lighthouses (having four supporting legs). 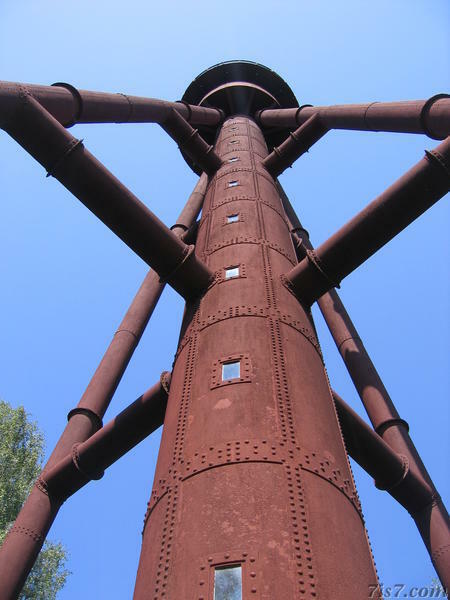 It is said to have been designed by Gustave Eiffel and according to the plaque on the lighthouse door it was made in 1875 in Le Havre, in Normandy, France, by the company Forges et Chantiers de la Méditerranée (not that Le Havre is anywhere near the Mediterranean). 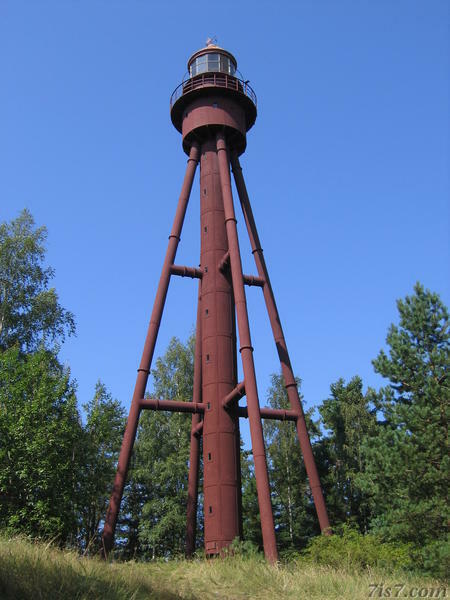 Assembly of the 40 meter tall lighthouse on Ruhnu was completed in 1877. It is located on the highest point in Ruhnu thus reaching 65 meters above sea level. Location: 57°48'5"N 23°15'37"E on: Google Maps, OpenStreetMap, Maa Amet.